A collection of 18 monotypes and paintings is being exhibited at the Friday Center Gallery, University of North Carolina at Chapel Hill from March 17 to August 16. (Chapel Hill, N.C. – Feb. 21, 2017) – The fourth exhibition of fine art in an ongoing program at the University of North Carolina at Chapel Hill’s Friday Center, “Paintings & Prints” will showcase a unique selection of 18 pieces by artist Lisbeth Firmin. Curated by Philip Beal, the exhibit opens at 6:30 p.m. on March 17 in the atrium at the Friday Center, followed by a talk with Firmin at 7 p.m. in Grumman Auditorium. This event is free and open to the public, with on-site parking available. Firmin’s work will be on display at the Friday Center through July. Admission to the exhibit is free. 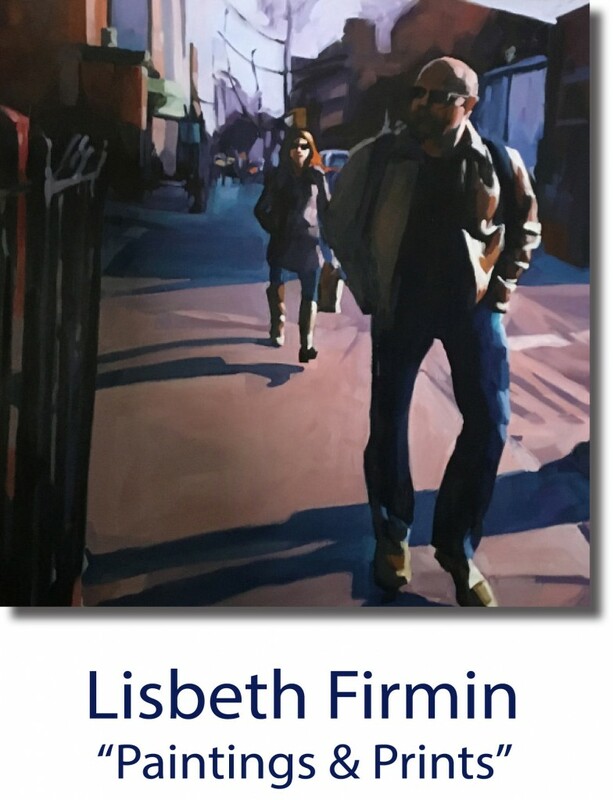 Lisbeth Firmin is a contemporary American realist whose paintings and monotypes explore the relationship between people and their urban environment, while simultaneously capturing the energy and light of a specific moment in time. Her art has expanded from early depictions of lonely highways done from solitary road trips, to painting the neighborhoods and street scenes surrounding her downtown New York City apartment, where she lived for more than 25 years. Her work has been written about in The New York Times, Provincetown Arts, The Boston Globe, Constellation 617, Provincetown Arts, Arts Magazine, American Art Collector and numerous other publications. Firmin teaches painting/printmaking at the University of North Carolina School of the Arts and at the Truro Center for the Arts, Castle Hill, Cape Cod, MA. Learn more about the exhibition at http://www.fridaycenter.unc.edu/firmin. Questions regarding the exhibition or the event may be directed to the Friday Center at conferencecenter@unc.edu or 919.962.3000.